If an informed citizenry is to meaningfully participate in government or at least understand why government acts affecting their daily lives are taken, the process of decision making as well as the end results must be conducted in full view of the governed. Open Meeting Laws are designed to give citizens the information they need to understand decisions made by their elected representatives. 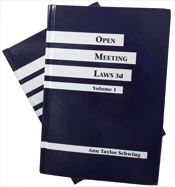 Are you subject to open meeting laws? 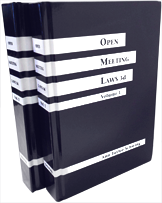 Keep up with Open Meeting Laws news.